Her Cheat is a dietary supplement for women. It’s manufactured in the United States by Keto for Her and, although the company claims Her Cheat supports healthy weight loss by suppressing the appetite and reducing cravings for sugar and carbs. The product is primarily intended to act as a carb blocker. Products that block carbohydrate absorption are more open to abuse than any other type of supplement on the market, with the exception of fat blockers, which tend to have a similar level of misuse. The problem is, a lot of people buy carb blockers with the intention of using them to cheat the system, and hope taking the supplement before meals will allow them to eat lots of carb-rich food like bread, pasta, and potatoes without gaining weight. Many fat blocker users have a similar aim but want to overindulge in high-fat food such as cheese, burgers, and fries. A name like “Her Cheat” only encourages this type or wrong thinking and, in the long run, cheaters never win. However, when used along with a sensible diet, carb blockers can improve existing results by helping to bring the calorie intake a little lower and this will, of course, result in an increased need for fat burning. The body needs energy to survive and it obtains it from the calories it draws from the protein, fat, and carbohydrate provided by food. If you are wondering why we don’t mention sugar, it’s because sugar is a form of carbohydrate. 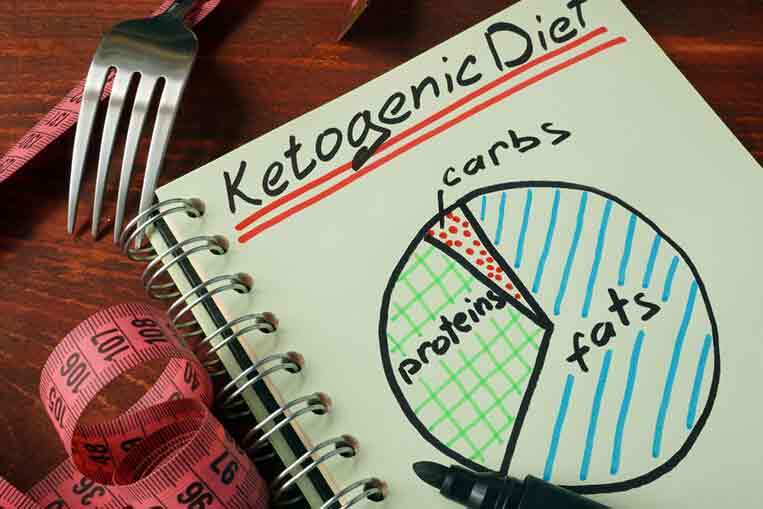 In the normal state of affairs, the body gets most of its energy from carbohydrate but, if people reduce their carbohydrate intake by a considerable amount, it causes a condition known as ketosis and, when the body is in this state, the liver begins to break down fat to provide the body with “ketones” to use for energy instead. Some people actively encourage this by following a “Ketone Diet”, so when Keto for Her say Her Cheat is “keto friendly”, they are a saying it can help people to gain and maintain this state. If the formulation is strong enough to suppress the appetite in the promised way, it will help people using the product to avoid feelings of hunger, eat less food, and lower their overall calorie intake. A faster metabolism is also conducive to weight loss because, when the metabolism is faster, it burns more calories per day. We are not sure where the promise of “digestive support” fits into the bigger picture but, hopefully, a look at the list of ingredients will clear this up. 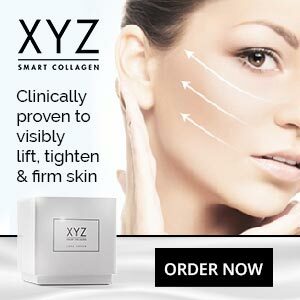 All the ingredients used in the formulation are included as a proprietary blend. This gives Her Cheat an excuse not to provide any inclusion rates. Many diet pill manufacturers use this technique to hide the fact that their formulations do not provide adequate doses. However, when manufacturers come up with very powerful formulations, using proprietary blends can also be a good way to stop competing manufacturers from cashing-in on their hard work and copying their formulations. White Kidney Bean Extract: White kidney bean (Phaseolus vulgaris), undermines the capabilities of the digestive enzyme (alpha-amylase). This interferes with the digestive process and causes a percentage of the carbohydrate that enters the stomach to pass through the intestines in an undigested state—without releasing any calories. White kidney bean is the most popular carb blocking ingredient available, and research proves that it works, but high doses are needed. The extract in use here is diluted by the presence of six other ingredients and there are several binders and fillers as well. Apple Cider Vinegar: Some people believe apple cider vinegar can block carbohydrate absorption, but more study is needed. However, apple cider vinegar is not a bad ingredient to have because it suppresses the appetite, has anti-bacterial abilities, lowers cholesterol and benefits the health in a number of other ways. Gymnema Sylvestre: A plant extract. The name gymnema sylvestre translates as “sugar destroyer”. The ingredient is sometimes used for diabetes and weight loss, but there is no evidence to show that it works. Cascara Sagrada: The bark taken from the cascara sagrada species of shrub is most commonly used as a laxative. Aloe Vera: Another plant extract that is good for getting the bowels moving and helping alleviate constipation. Garcinia Cambogia Extract: The active ingredient in garcinia cambogia is called hydroxycitric acid (HCA). It’s good for reducing hunger and can discourage the body from storing excess carbohydrate as fat. Extracts that are 60% HCA or higher work well. Extracts of a lesser potency are unlikely to work at all. The HCA content of this extract is not provided. Chitosan: An ingredient that is normally obtained from the shells of crabs and other marine crustaceans. Chitosan is a popular fat blocking ingredient. It does not block carbs or serve any other function. 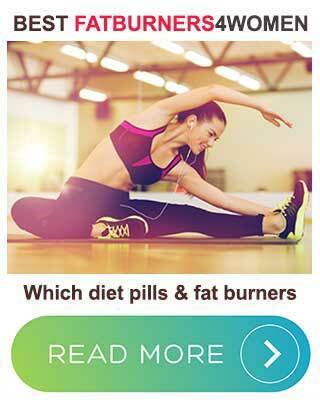 Two capsules should be taken before meals and washed down with 8oz of water. No more than four capsules should be taken in any 24-hour period. Her Cheat is not intended for pregnant or nursing mothers or anyone who is under 18-years of age. People who have existing medical conditions should check with a doctor before use. Anyone who is planning on using Her Cheat alongside medications or other supplements should only do this if their doctor has confirmed it will be safe to do so. 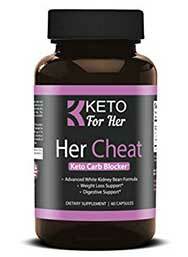 Although Keto for Her is only targeting women, there is nothing about the Her Cheat formulation that makes it particularly suitable for women. Guys could use it too. Although the lack of inclusion rates makes it hard to predict the value of this product, customer reviews clearly suggest Her Cheat does not work for everyone and the fact that the formulation is laced with laxatives could mean the people who reported good results may have overindulged on carbohydrate sufficiently to gain extra body fat then failed to notice because a similar weight of faeces had been excreted away. 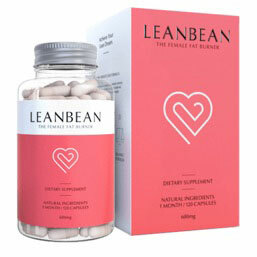 Women who are serious in their intention to lose weight would obtain a greater level of support and better results by using Leanbean or one of the other top-rated female fat burners instead. Women who are only searching for something that will help them overload on carb-rich food without gaining weight need to get used to the idea of being fat because you can’t beat Mother Nature and, in this world, there are no magic pills.